When it comes to making good diagnoses, being able to see more details with more clarity counts for a lot. The ability to see in three dimensions rather than two is also a considerable advantage. That is what the new cone beam computed tomography (CBCT) scanner, a recent gift to the Faculty of Dentistry from Nobel Biocare, makes possible. 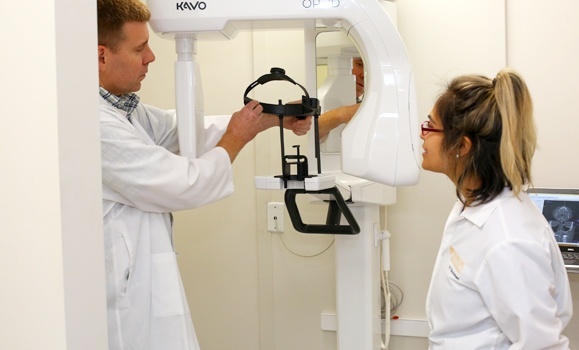 Dentistry students are now learning how to use this highly precise, state-of-the-art technology as part of their studies and patients requiring implants or oral surgery are benefiting from accurate diagnoses and treatment planning.